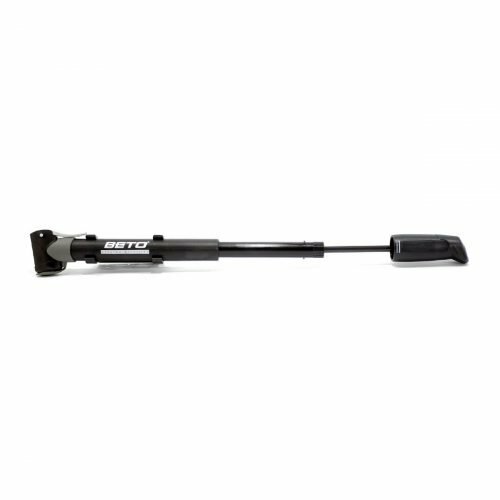 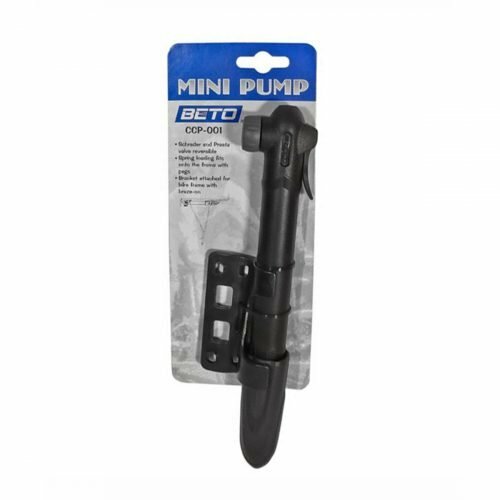 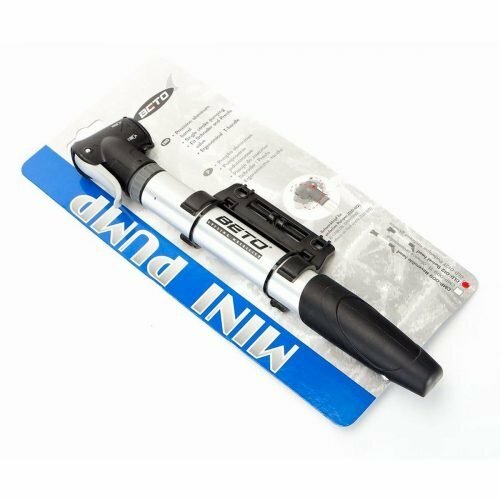 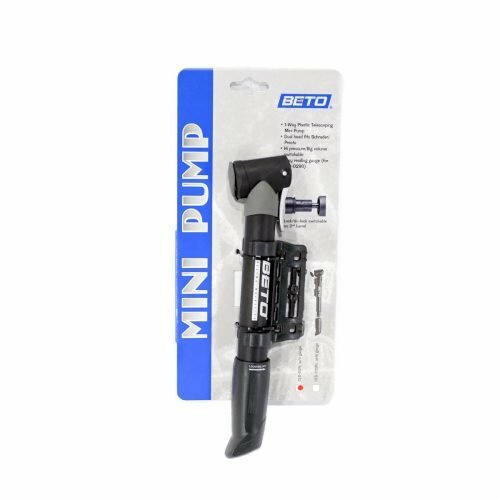 The pump features: aluminium body, swivel head for both Schrader and Presta valves and ergonomic T-handle to ensure a comfortable inflow. 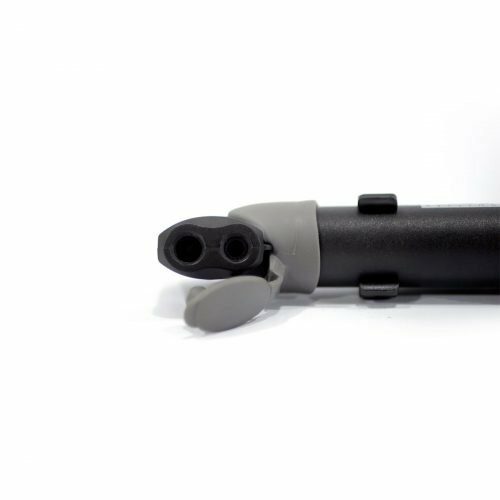 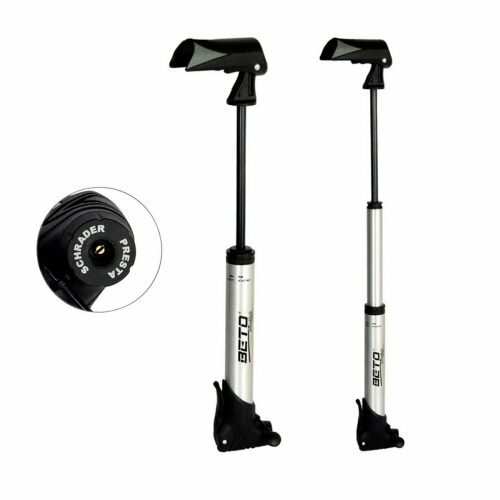 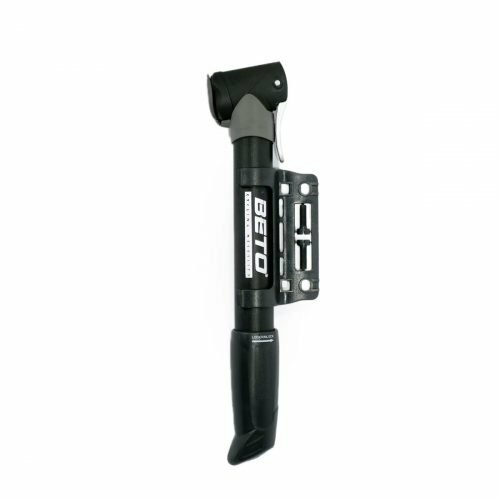 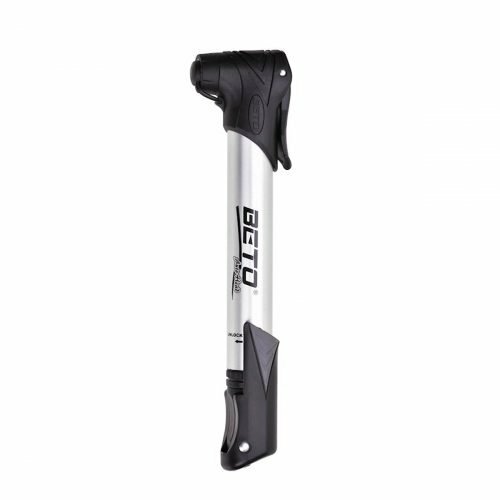 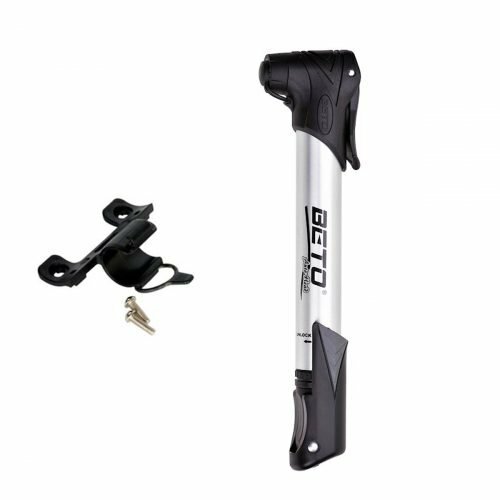 The pump features: aluminium body, head for both Schrader and Presta valves, telescopic body extension, ergonomic T-handle to ensure a comfortable inflow and bottle cage hook. 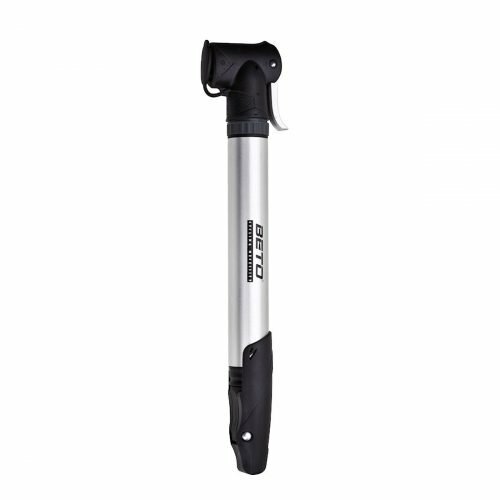 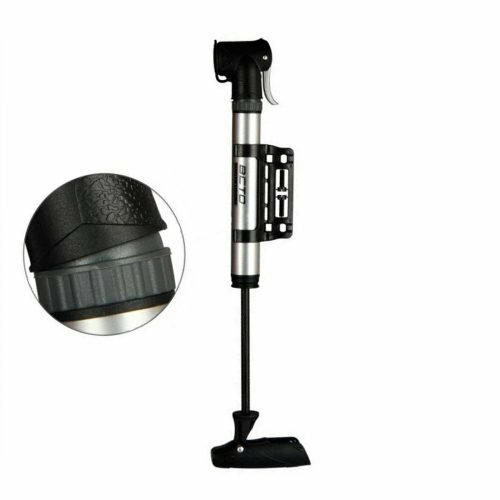 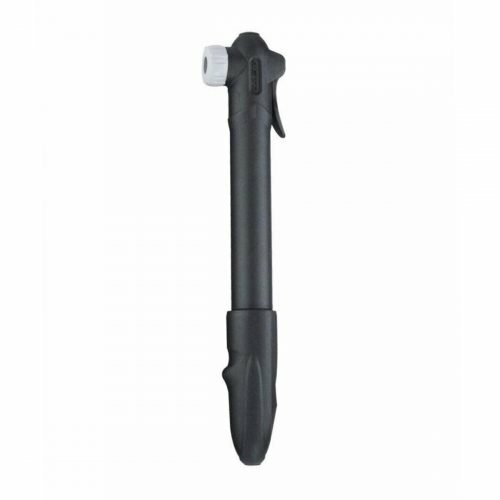 The pump features: head for both Schrader and Presta valves, telescopic body extension and bottle cage hook.